All types of products can be shown on Featured Products Block. 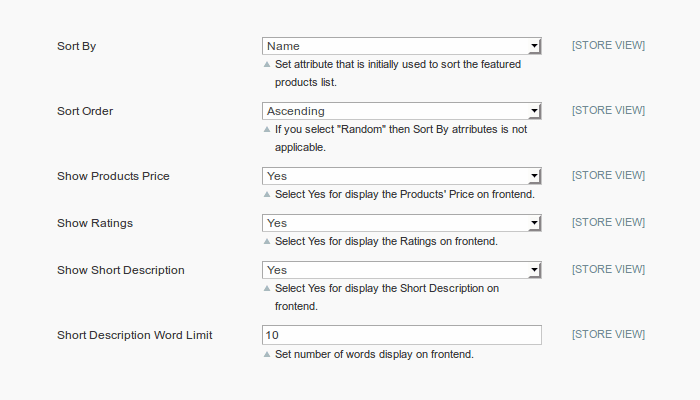 Option for filter featured products category wise from configuration. 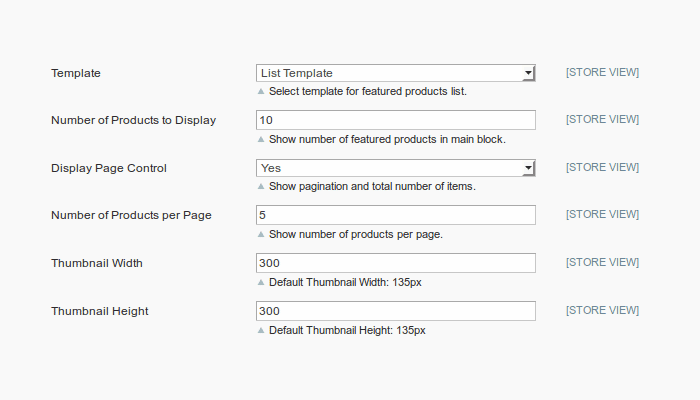 Allow to customize featured products template page like list, grid and pagination controls. 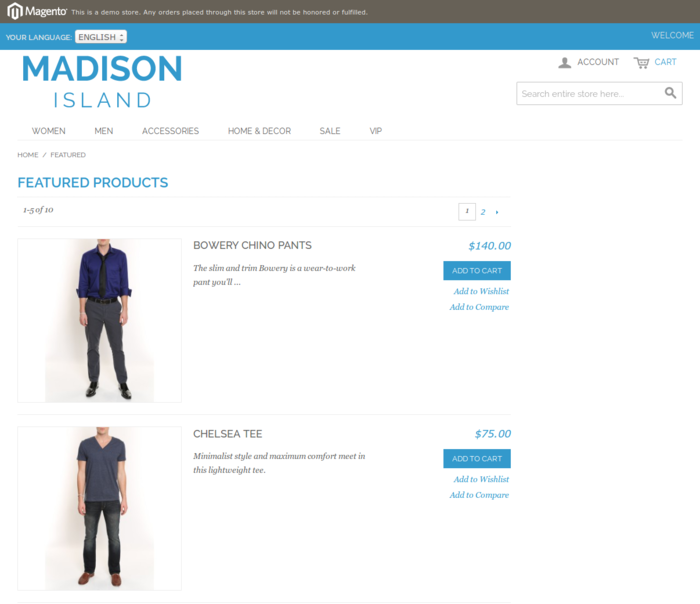 Allow displaying featured products on any pages only with code and also display by creating featured products widget. 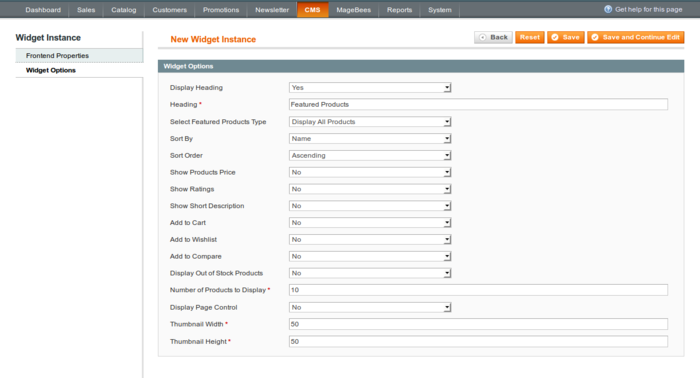 Easy setup as featured products and also customize options of featured products contents from Configuration. Works on Responsive design also. 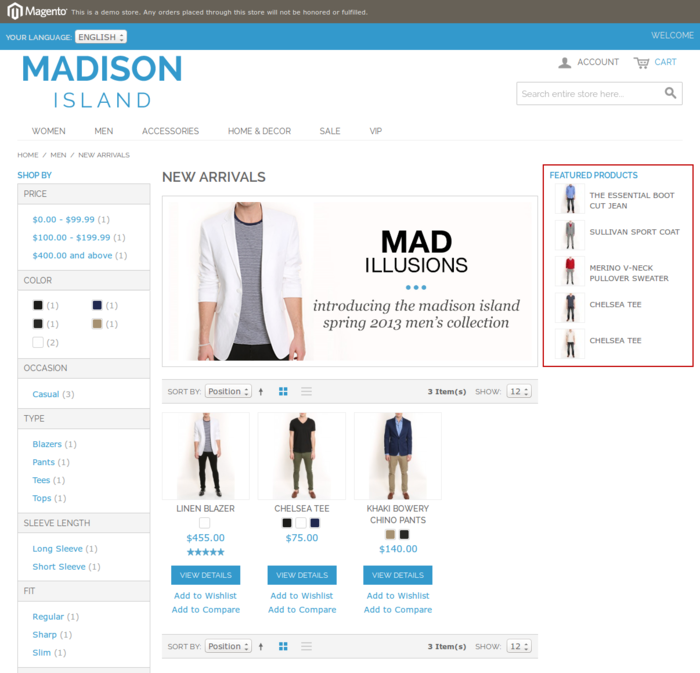 Featured products extension is used to display products as Featured Products on your store. These featured products are important to highlight on the home page or other pages so customers and easily view it and buy it. You can easy setup featured products and have many options for settings from admin like rating, price, short description, add to cart, add to compare, add to wishlist. You can show featured products base on categories. 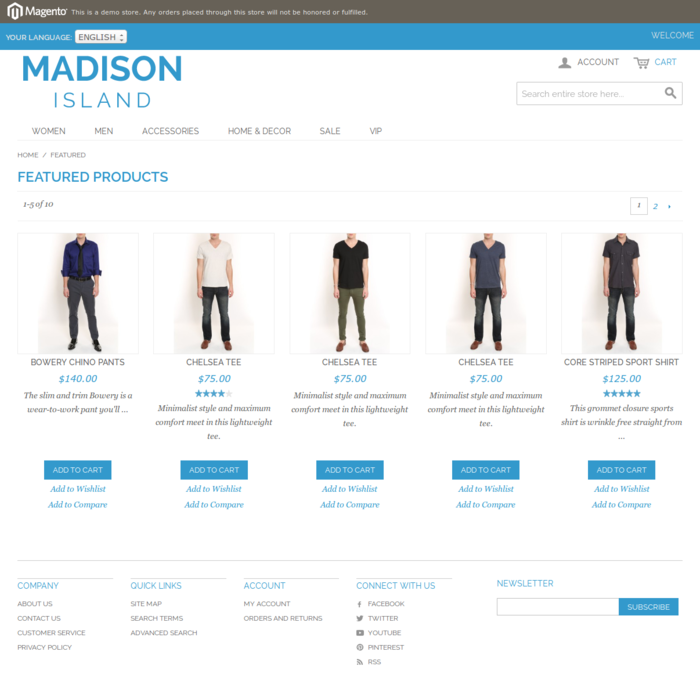 You can display featured products using block, template, layout and widget. How to setup featured products? For display products as a featured you have to choose products and save it. This extension gives ability to show featured products block in cms pages,phtml or xml. 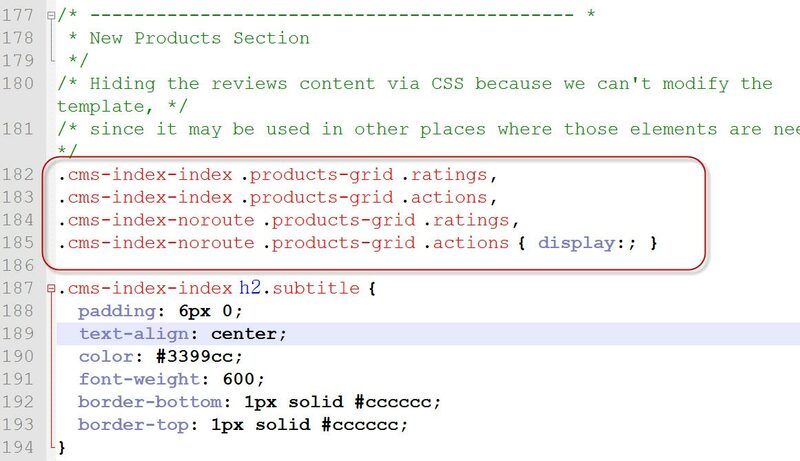 If you want to show in any other cms page or static block then you can easily add below code into appropriate page. I am as yet searching for more documentation on this module, yet it does work, and it fills in as depict (not at all like many modules). It is likewise free, and I am extremely content with it. Much thanks to you for making this featured products extension. Its provide great feature and extremely helpful for magento store to boost sales. 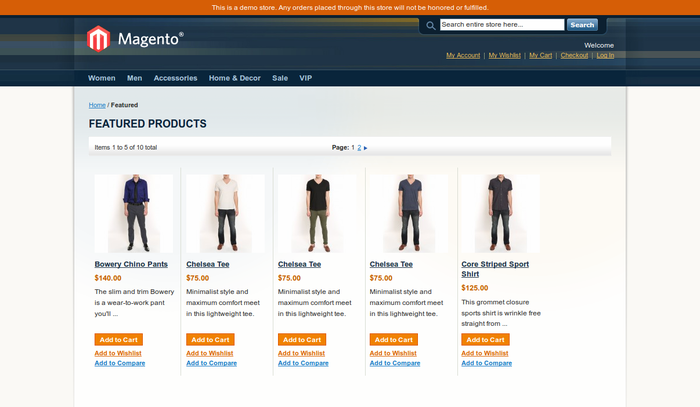 Its good and very useful for magento web developer. Great extension I recommend this. In first stage I faced the blank page issue, but on reading the FAQs it got resolved. I am using this in my home page and it's work perfectly. 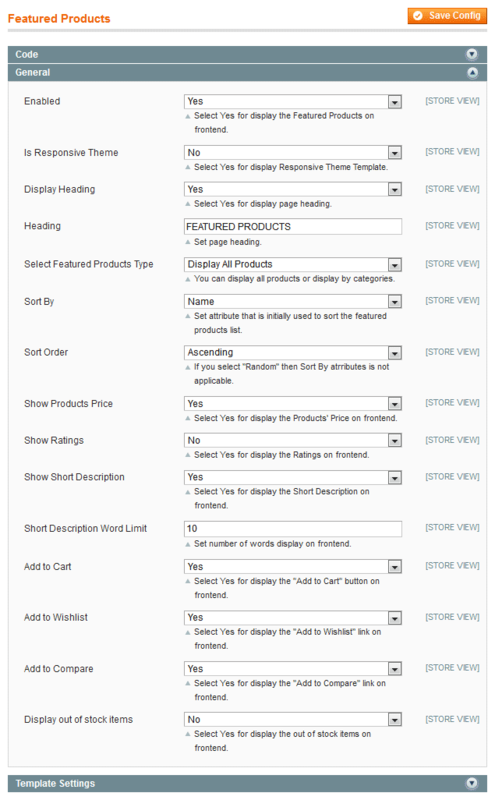 => Display Featured Products on home page, products pages, category pages etc. 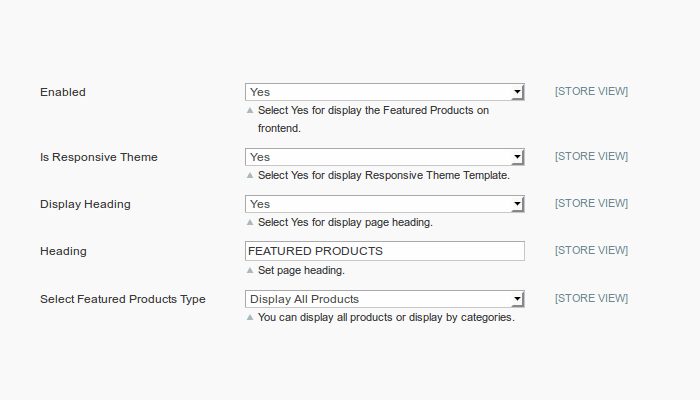 => Display Featured Products with many settings from admin panel. Q-1: I have installed featured products extension. But when I click on featured products tab in the config page will get a 404. :(. Ans : After install Featured Products Extension, please Logout from admin account and re login and Refresh Cache. 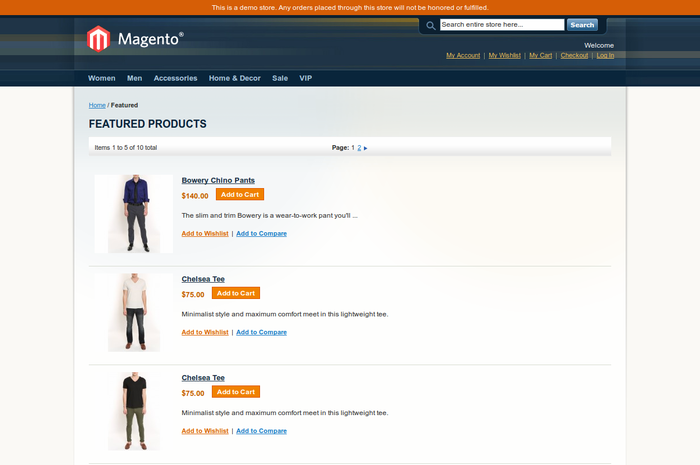 Q-2: I have installed featured products extension on magento 1.9 (rwd package) but ratings not display on front-end? 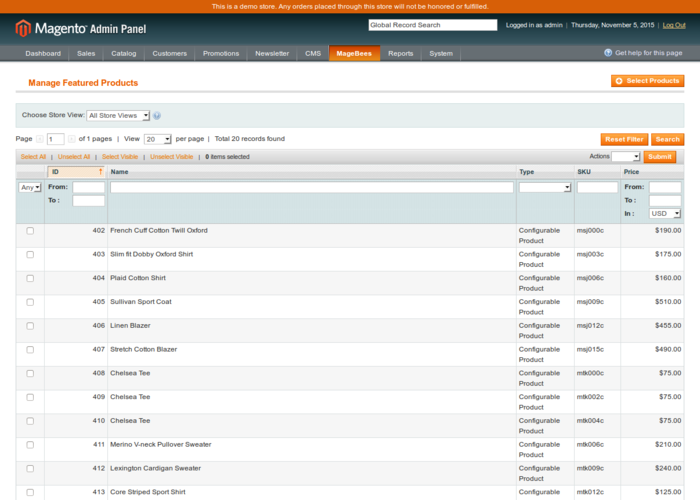 Q-3: I applied the 6788 patch on my magento setup, a featured block doesn’t show up on home page or any cms page ? Now featured block has permission to display. 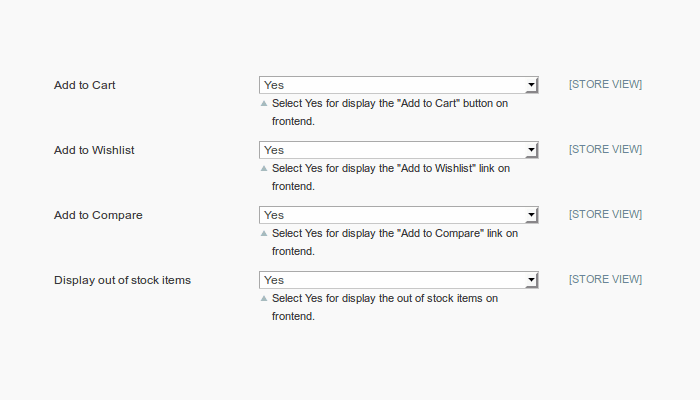 Q-4: I choose featured products and save but it is not display on frontend ? 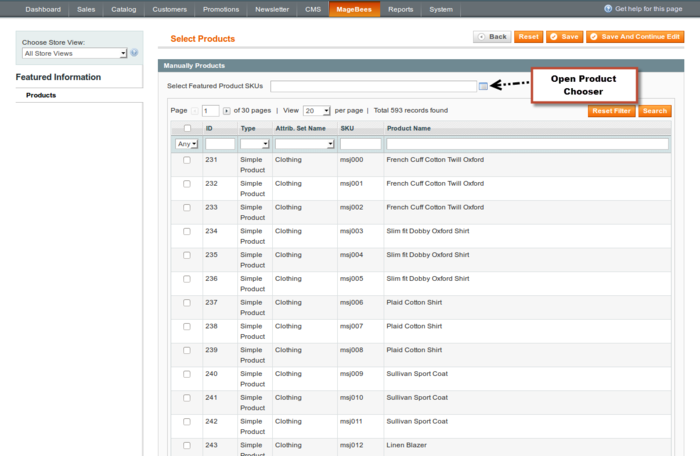 Ans :Please check your selected product is visible on frontend or not from manage products.